Create professional looking websites in minutes using the visual composer based theme. It allows you to manage the design of your website with the drag and drop options. Moreover, you can change the colors as well as the text on the fly. This WooCommerce compatible WordPress theme for hotels and restaurants is affordable and easy to use. The best thing is - no need to touch the code. Check out the full features now. If you have a site regarding the cooking recipe, then you must be wishing to have such a site which will make visitors follow the recipe that you showcase. 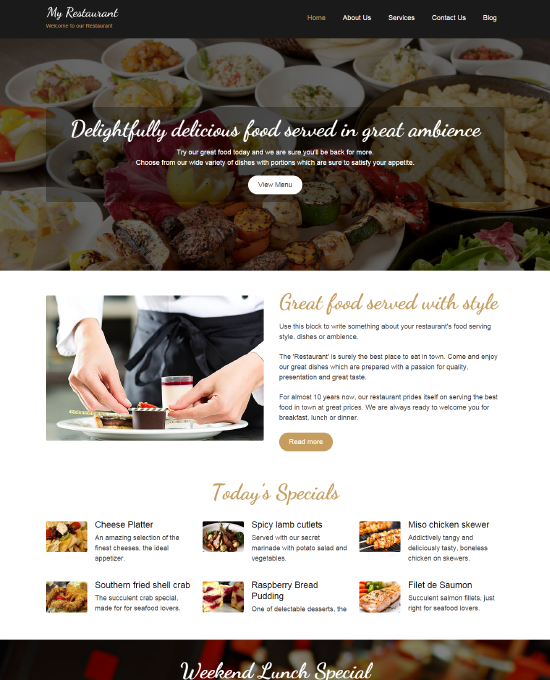 If you have such an intention, then it is a must that you have the WordPress cooking theme created and designed by Templatic onto your site. You may be wondering what change this will make to your site. Yes, this is a question that we often face. Just continue reading and you will know what magic it can create. 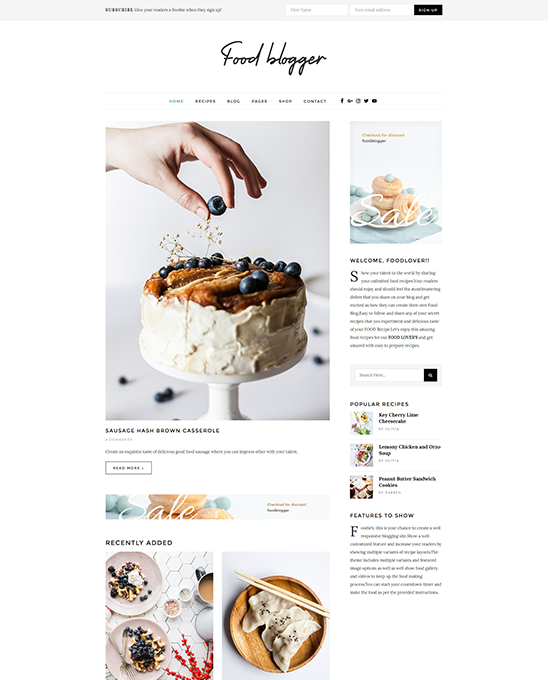 These natures of WordPress recipe theme will enable you to change the text and images of your site and make the sky the limit for any nature of a business that you have. There are various natures of such themes that we have made available for you. You can choose one according to your budget and use it on your website. 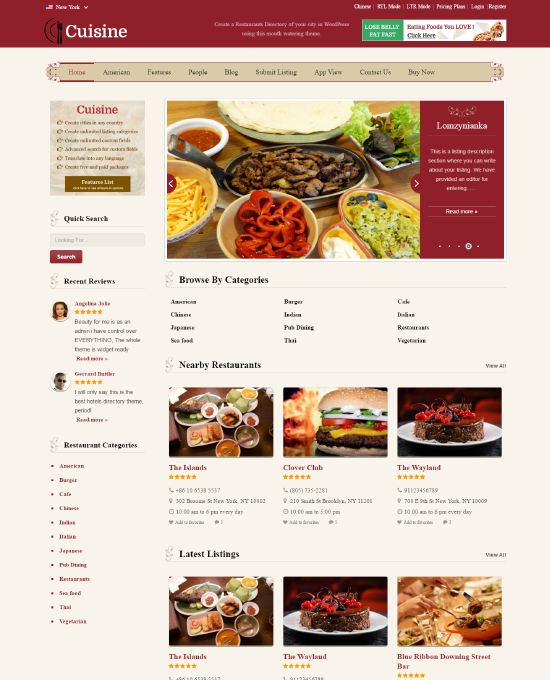 As there are various natures of WordPress cooking & recipe theme it is prudent that we have a look at those in depth so that you can make your choice and have that for your site. SmallBiz: This theme is created keeping those in mind who use their mobile to visit your site. The theme will ensure that the visitors have the ideal experience when they view your site on their mobile. You can change the look of your site and give your customer an out-of-the-box experience using such a theme. Tech: The visual composer that is included in this nature of WordPress cooking & recipe templates will enable you to create a site of yours in minutes. You can edit the contents that you add easily and change the color scheme of your site without hassle if you use this site. iBusiness: Using this nature of theme in your site will enable you to have the various advantages that you dreamt of having. You can create and move blocks onto any page as you wish just by drag and drop option, the site will be truly mobile friendly, you can reset all that you have on your site just by a click of a button and all the images that you upload will fit into the frame without any hassle. Anchor: This theme will enable you to have a sophisticated website. The website that you will have will have versatility as a key factor. The home page that you will have will be fully widgetized, the site will be mobile friendly, the site will be automatically updated, the bbPress will enable to have a forum to have feedback from your clients, you can select the style of the menu and display in the nature you wish. Service Biz: This theme will be the ideal one if you have a website where you book appointments. Using this theme, you can display your services, sell your products efficiently, manage the online bookings and the appointment calendar will make your customer aware when they can have an appointment. Responsive: This one-click installable theme will help you to make your website to be the responsive site that you dreamt of having. The user experience will be enhanced and customers will love to be at your site. Specialist: This is the theme that is ideal for a small business where versatility is the key. Using such a theme you can change your site to be the best online store that you can imagine. Appointment: This theme created and designed by us will enable you to have the professional website which will allow you to manage appointments. PlusOne: This unique theme will enable you to have and manage a mini social media site. You can save time, money and hassle using such a theme. So, as you have decided which one to buy be with us at Templatic to have that at an affordable rate.